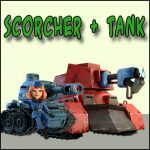 Scrocher + Tank or Zooka? | Boom Beach. All about the Game! Zooka or Tank? Which of these two units is more effective in the combination with Scorcher? These questions interested me and I decided to try to calculate it with the help of mathematics. Let’s consider classical combination when the 4 landing crafts loaded with Scorchers and other four – with Tanks or Zookas. All units are max. lvl. Landing Crfats are 20 lvl. Mathematical calculations. 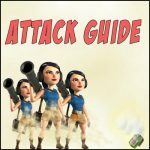 So, we know that every unit in the Boom Beach has its own strengths and weaknesses that should be considered when selecting an attacking combination in a particular case. For example the strengths of Tank are big stock of health and big damage power but at the same time it moves slow and has low rate of fire. 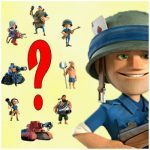 Zooka has huge damage power too, but unlike the Tank has very little stock of health… So, let’s try to compare them from the mathematical point of view. Note: from all prototype weapons I have chosen Boom Cannon II and Shock Blaster II because these two type are most common in my experience. The indicators of Health and Damage Power are for max. lvl. buildings and weapons. Ok. Now You think what we have from all these figures?… The answer is next: now, with the help of all these figures we can roughly calculate what combination is more effective and can cause more damage to the enemy’s defenses. Let’s go next. 1. The combination of Scorchers and Tanks (4 scorchers and 12 tanks) is able to withstand under constant fire of all defensive weapons 12.4 seconds (251 800 (total combo health) divided by 20 362 (total amount of damage per sec of all defensive buildings)). During this time (12.4 sec) Scorchers and Tanks can cause 131 093 of damage to the enemy defense (10 572 multiplied by 12.4 sec) or destroy it on 16.7%. 2. The combination of Scorchers and Zookas (4 scorchers and 48 zookas) is able to withstand under constant fire of all defensive weapons 9.1 seconds (184 960 (total combo health) divided by 20 362 (total amount of damage per sec of all defensive buildings)). During this time (9.1 sec) Scorchers and Zookas can cause 270 488 of damage to the enemy defense (29 724 multiplied by 9.1 sec) or destroy it on 34.4%. P.S. 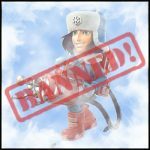 Though the combo of “Scorcher and Zooka” is more effective, I use Tanks instead of Zookas more often. 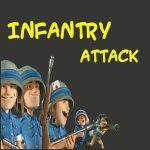 In my opinion “Scorcher+Tank” combo is more suitable for “everyday using” because of permanent losses of Zookas almost in every attack. And It’s takes an extra time (or diamonds) to compensate losses.